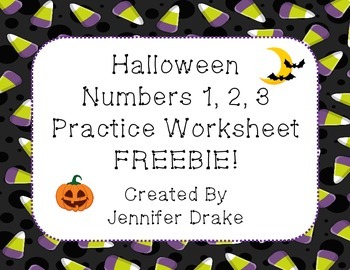 Halloween Number 1-3 Practice Worksheet FREEBIE! 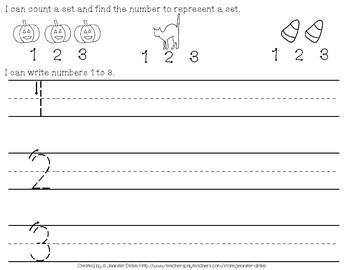 Need a 'spook'-tacular practice worksheet for your little goblins this Halloween? My class is working on numbers 1-3 this week and we are veering off course of our math series for one day to have some 'bat'-tastic math practice! 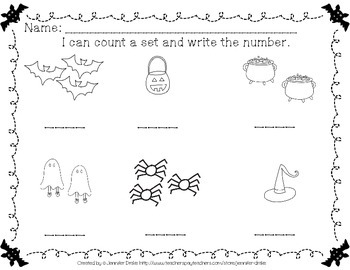 Print front/back or laminate and provide dry erase markers for a quick center activity! Great for independent practice, morning work, 'do now,' homework, review, small group instruction and so much more! No prep required! Just print and copy! Feedback on this freebie is greatly appreciated! Need a bit more for Halloween and numbers? Check out my What's Brewing? Halloween Fun With Numbers 0-10 pack! Find other Halloween fun in my TpT Store and use the custom categories to find exactly what you are looking for! Consider following my store to receive email notification of new product uploads- as well as freebies like this! 'Like' me on Facebook for exclusive fan freebies, giveaways, games & more! Happy Halloween Numbers 1-3 Practice Fun!